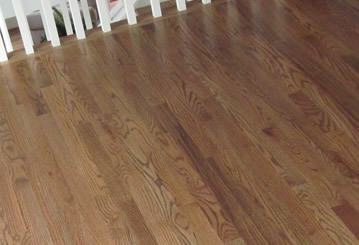 We are a local flooring company based in Atlanta, GA. We have been in business since 2004. What we should prepare in our house before you arrive to install the new floor? Prior to materials delivery you should move all overweight and oversize furniture such as piano, wall unit, assembled and build-ins out of the area. Only when the situation allowed, we can move some light empty furniture around for free by your request only. You should remove furniture and debris from the areas where work is to take place. All valuable and fragile items must be out of the job site. Upon materials delivery temperature and humidity levels should be maintained near occupancy level. The temperature should be from 60F to 80F; humidity - from 35% to 55%. Make special accommodation for your animals, it is not safe for them to be at the house during floor installation. We will not be responsible for any pets leaving the home due to doors, windows or gates being left open due to work in progress. 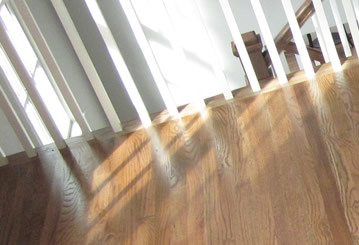 You should simply sweep, dust, mop or vacuum your hardwood floor. But vacuum should have rubber wheels to prevent scratches. For wet floor cleaning you can use simple mixture of white distilled vinegar and warm water in 3:1 ratio. 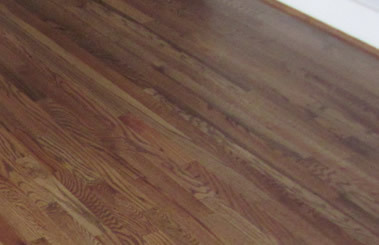 How I can prevent my hardwood from scratches? One of the best things is to clean your floor on regular basis to keep any dirt or debris from collecting on the surface of the floor. Felt pads should be applied under legs of any pieces of furniture. Be careful when you slide something heavy over the floors, we recommend to use special moving equipment for that.